Despite the choppy incoming data from the UK, GBP is being empowered most probably due to the progress in Brexit issue. 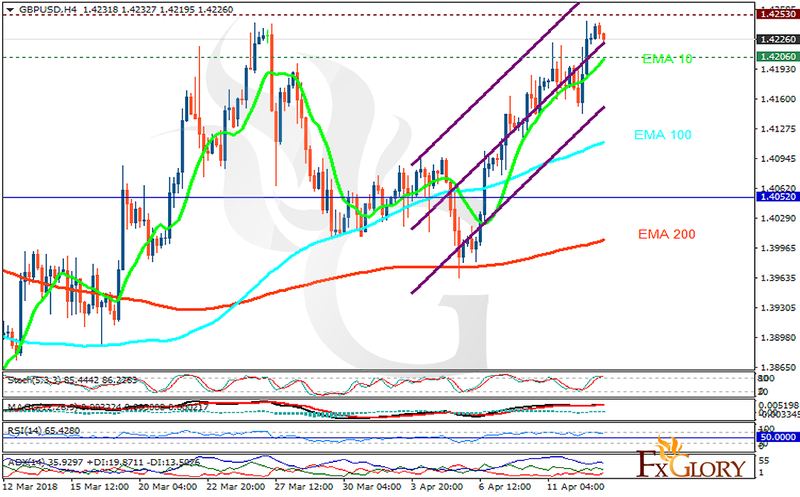 The support rests at 1.42060 with resistance at 1.42530 which both lines are above the weekly pivot point at 1.40520. The EMA of 10 is moving with bullish bias in the ascendant channel and it is above the EMA of 200 and the EMA of 100. The RSI is moving in overbought area, the Stochastic is moving in high ranges and MACD line is above the signal line in the positive territory. The ADX is showing weak buy signal. GBPUSD will continue its bullish trend towards 1.43.